4 Fingers Crispy Chicken takes the humble chicken wings staple and ups the ante with sizzling flavors and spices that pack attitude and punch. Hot, juicy and crispy, the wings are individually hand painted with their special sauce, and will have you licking your lips and reaching for more! Currently there are three outlets in Singapore, namely ION Orchard, Westgate and Changi Airport T3 Outlets. 4Fingers has opened its new outlet @ West Gate! Enjoy buy 1 get 1 free for all meal, and free upsize your drinks! Only valid for two days, 21 - 22 June 2014! 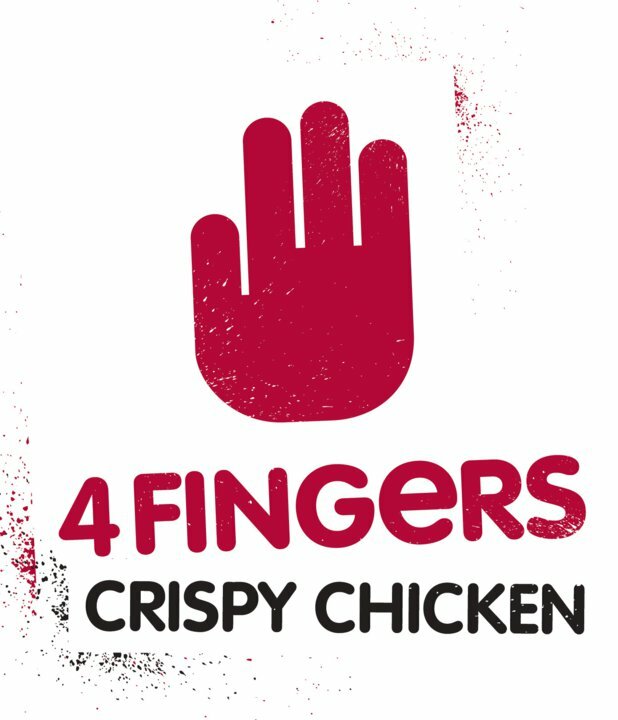 Get the best 4 Fingers Crispy Chicken Singapore Coupon Code, Promo Code, Vouchers, Deals and Discounts. Find latest 20% OFF, 10% OFF, extra point rebates, visa card exclusive deals here. 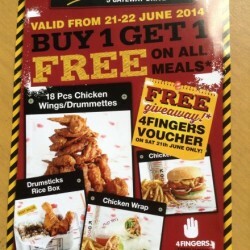 Get the best dealnews here and enjoy the crispy chicken @4 fingers!